This white outdoor accent table is a perfect accessory for any outdoor space. It’s versatile, but makes a statement with the crisp white color and the super-contemporary look. 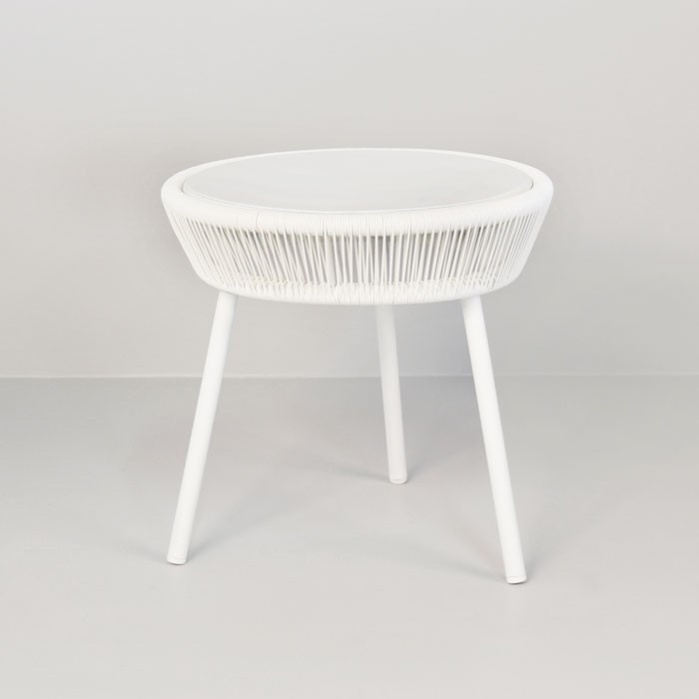 As a contrast piece, this outdoor accent table is fun and will turn heads. 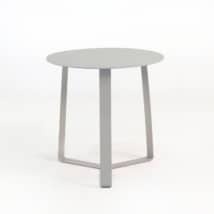 The table surface is white powder-coated aluminum with a woven top frame made from Ecolene® Outdoor Weave, a HDPE (High-Density Polyethylene) strand made specifically for outdoor use. 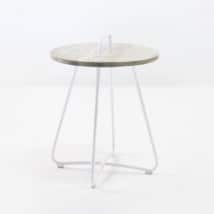 These materials combine to make a beautiful, utilitarian outdoor accent table that is very lightweight and can fit into any outdoor space without taking over the space. 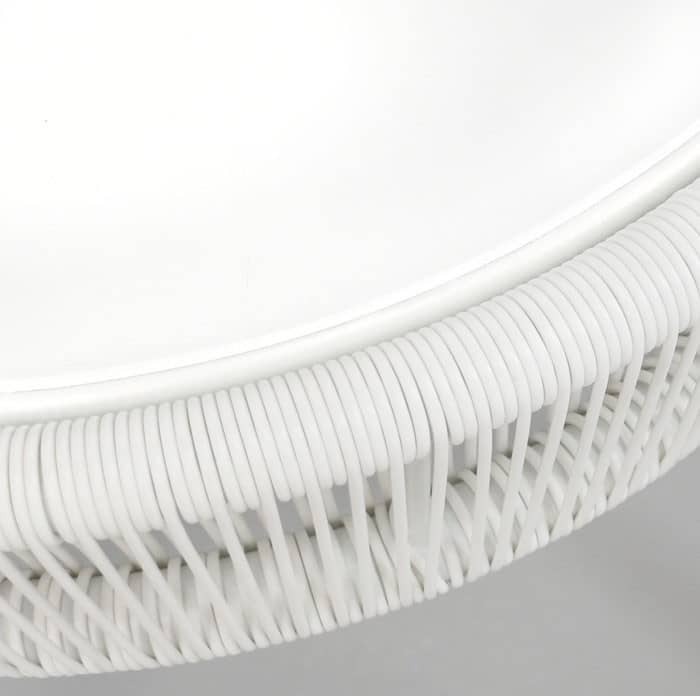 The maintenance is minimal, and the longevity is exceptional. 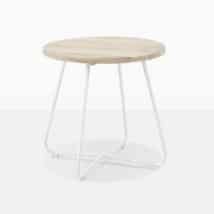 You’ll be using this funky little accent table for many years to come.